They have not seen each other clearly in years. Their ability to contribute to the family farm is very limited. They want more. Adorable Manisara and her husband Durga are Nepalese elders, both blinded over time by cataracts. Outreach healthcare workers identify them as prime candidates for Seva Foundation’s monthly free eye surgery clinic. 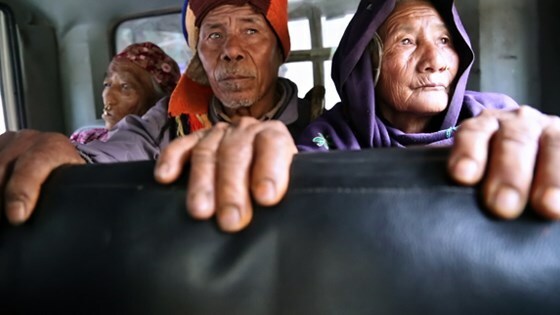 Their journey is shot up close and intimate as the elders experience loving attention on their long trip on foot and during pre-op anxiety at the clinic. In one day, their eye doctor and her team do fifty plus cataract removals and interocular lens replacements. A day after the six-minute operation, the bandages are removed. It’s an emotional moment for Manisara and Durga. Witness this everyday miracle, renewing the vision and possibility of entire communities. Along with the film, expect some special guests and an inspiring post-screening panel discussion. Live music benefit to follow at Sweetwater. Separate ticket required. Click here to learn more. 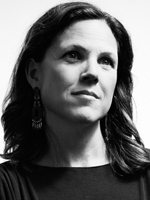 Irene Taylor Brodsky is an Oscar-nominated, Emmy and Peabody Award-winning filmmaker whose documentaries have shown theatrically, at film festivals, and on television worldwide. Her recent credits include One Last Hug (Emmy Award, Best Children’s Program, 2014), Saving Pelican 895 (Emmy Award, Music and Sound, 2012), The Final Inch (Academy Award nominee, documentary short, 2009), and Hear and Now (Peabody Award, 2008; Audience Award, Sundance Film Festival, 2007). Brodsky began her career documenting the lives of the disabled in the Himalayas with her 1993 photography book, Buddhas in Disguise, and her first film, Ishara. She lives in Portland, Oregon.